The Sanifos 500 is an automatic lifting station for residential or industrial waste. It can take waste from a toilet, basin, bath, shower, bidet, washing machine, dishwasher and sink. 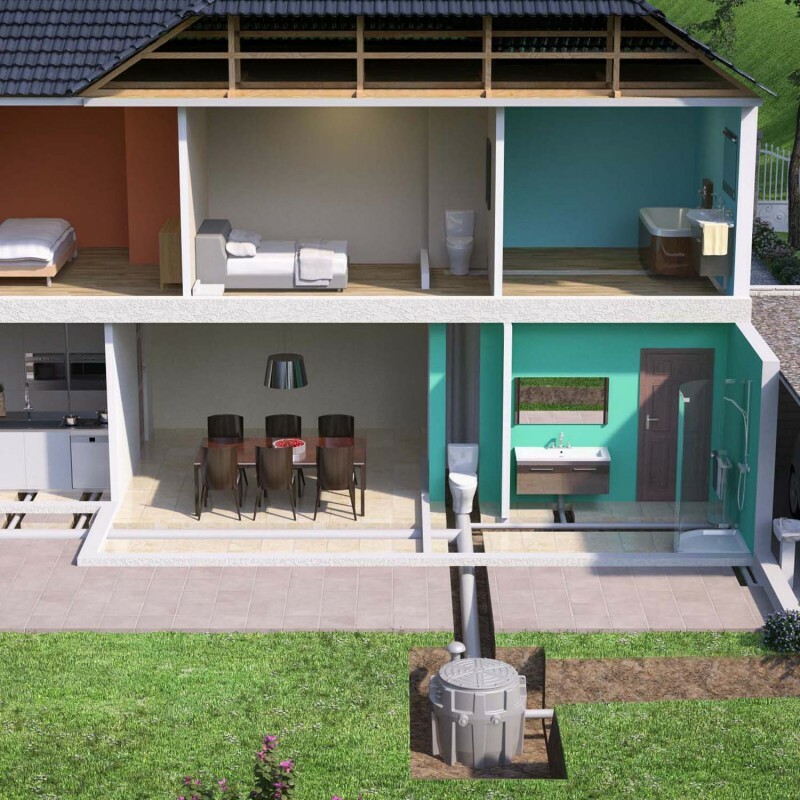 It is designed to take waste from a single residential dwelling with multiple storeys including bathroom, kitchen, utility room etc. It comes in three versions the first comes with two separate load balanced macerator pumps with high performance robust cutting blades to prevent clogging and has powerful automatic motors with quiet operation. The second version is a single phase Vortex version that comes with a large bore vortex pump which can pump away waste without the need to macerate. 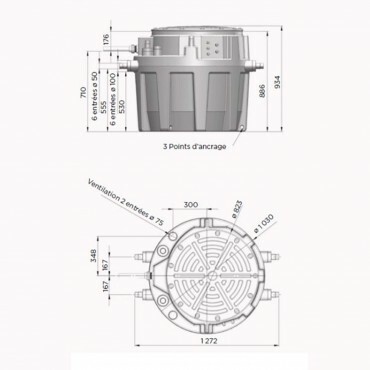 The third version is a three phase vortex version that comes with a large bore vortex pump which can pump away waste without the need to macerate. The Sanifos 500 has a 500 litre storage tank and offers easy handling for installation below ground level. 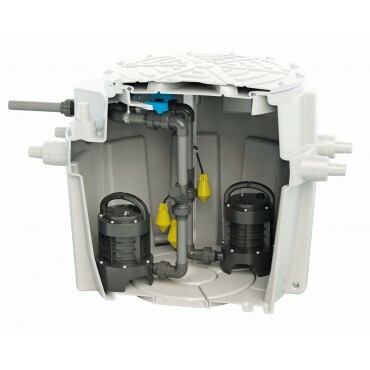 The Sanifos 500 has six inlets that can take up to 125 mm, and it discharges through 40 or 50 mm pipework. The Sanifos comes with a 2 year warranty.